I'll be working on my daughter's birthday cards and Easter cards this weekend, so come back for my weekend posts. Keep on creating! Pedaling Past is a stamp set that was in last year's Summer Mini. I thought I'd pull it out at least one more time before the new Catalog items were available to customers! 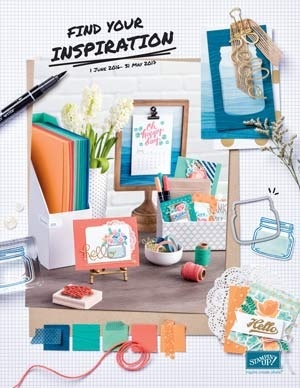 I combined the use of the corner punch scallops, hodgepodge hardware, the dotted embossing folder combined with the latest in colors of Concord Crush and Pear Pizazz. The paper is designer series paper, along with coordinating twill tape ribbon. I also just love our new pearls! I keep having to get more of them because I use them on everything these days! This is an easy sketch to re-create using 3 printed papers, 2 colors, and 1 solid paper. Easy! Have fun! 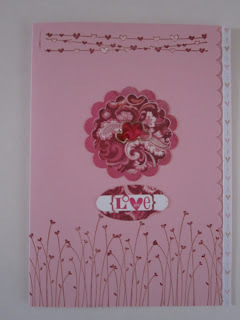 I just love the new Valentine's Defined stamp set in the Occasions Mini! These cards were quick and easy! 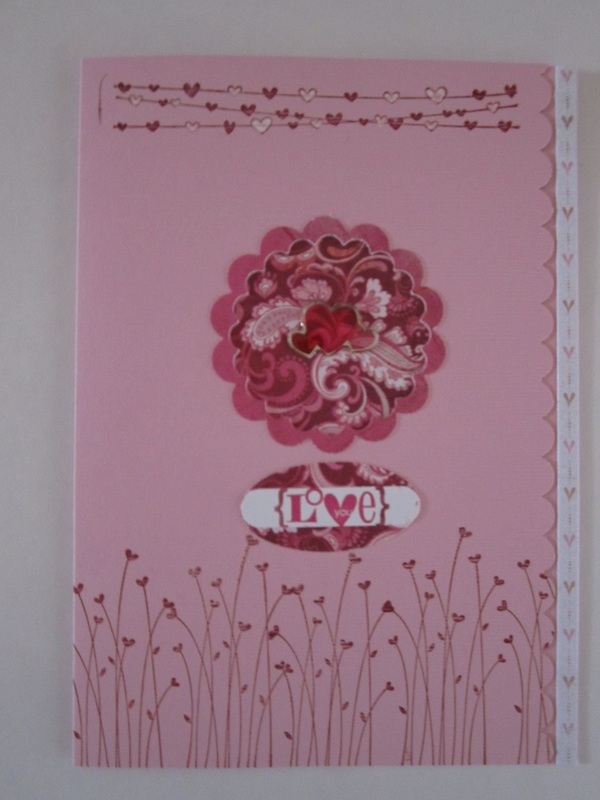 I used a fiskars product that allows you to punch in the center of a card - very cool! Look for more Valentine posts in the new future. Enjoy! I knew I wanted to incorporate several stamp sets with some brayering to make a 'space/planets' card. I went hunting and found Angela's card which I adapted to include the robot and brayering. It's hard to see, but the ring around 'saturn' has peach parfait glitter on it. The moon is two layers - one of Going Grey brayered with Basic Grey, and the other is Brushed Silver. The moon craters were created with the 1/2" circle punch, and an eyelet paper punch set. The stars were embossed with Whisper White craft ink and White embossing powder. I also through in some dazzling diamonds to give the stars a little shimmer. The stars in the bottom left corner have some dazzling diamonds on them, too! This took some time, but I had a "blast" making it!